Summer reading in our upstairs living room. 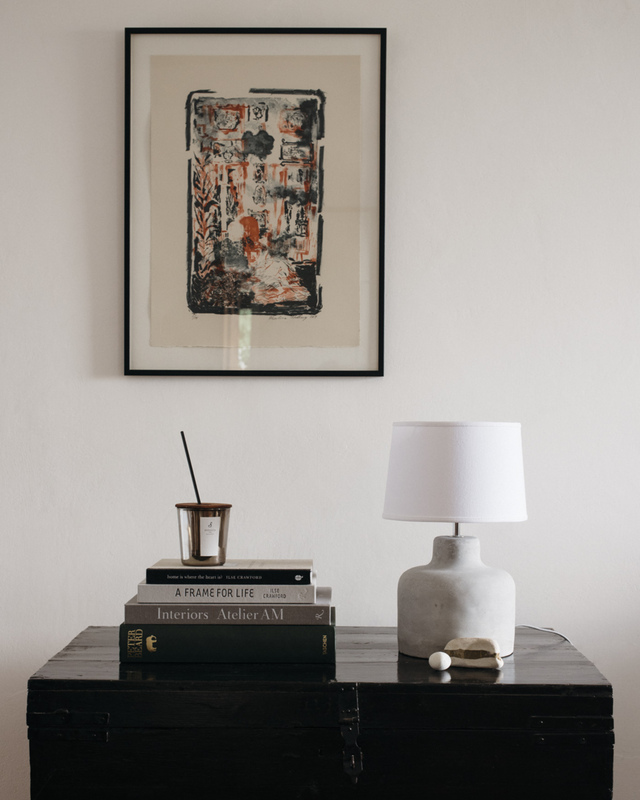 The litograph is by Karoliina Hellberg and the cold candle by Fueguia. 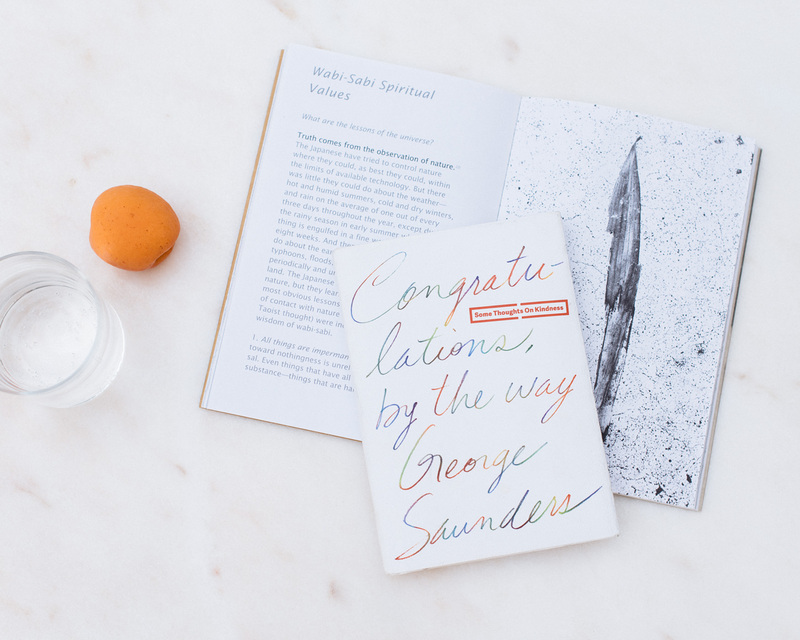 Ripe apricots and lightweight books to be enjoyed on a daybed outdoors. A book one to read at once and be inspired of the rest of the day. “What I regret most in my life are failures of kindness”, Saunders writes, before sharing his wisdom and, some thoughts on kindness. This is the book I have probably given away most: to friends I have thought would enjoy it, to someone who started their studies, as well as someone who graduated and was ready for the next step in life. I find the Japanese wabi-sabi philosophy very relatable and inspiring yet there is a lot for me to learn about it. Leonard Koren shares the basics and leaves me with a zest to find out more. Minna Eväsoja is an Adjunct Professor of Japanese Aesthetics in the University of Helsinki. In this charming book (in Finnish, only), she shares her stories about Japan and what it is like to live there, aiming not to tell how things are, but how she saw them: sweet details, funny details but also things that can feel strange or insensitive for an outsider in Japan. And, above all, the beauty and abundance of the peculiar land and its culture. Reading this you are going to want to visit. Soon. I have read this book probably ten times and still keep gravitating back to it. Crawford writes about interior design from a philosophical and emotional point of view focusing on the basic human needs that the look and feel of our homes should meet. Another one from the master. I got two copies for Christmas, my people know me well... Showcasing the designs of her company, Studioilse, this book is no less personal and warm-hearted as the ones Crawford has written before. In just a couple of pages where she walks the reader through her own home, I get so much to think about and so many good ideas that I have to grab my notebook and take a break from reading.